I've always loved Halloween. From trick or treating as a kid and making myself ill with the ridiculous amount of sweets I'd devour, to dancing the night away with friends at whatever Halloween themed night club we decide to go to. Of course, fancy dress and costumes has always been a favourite part of the season for me, there's been Sugar Skulls, Wednesday Adams and even an Avatar once! But now I'm a bit older and don't fancy trotting through town in some of the ridiculous get ups I used to at Halloween, I tend to go for more of a subtle look for nights out over the spooky weekend. 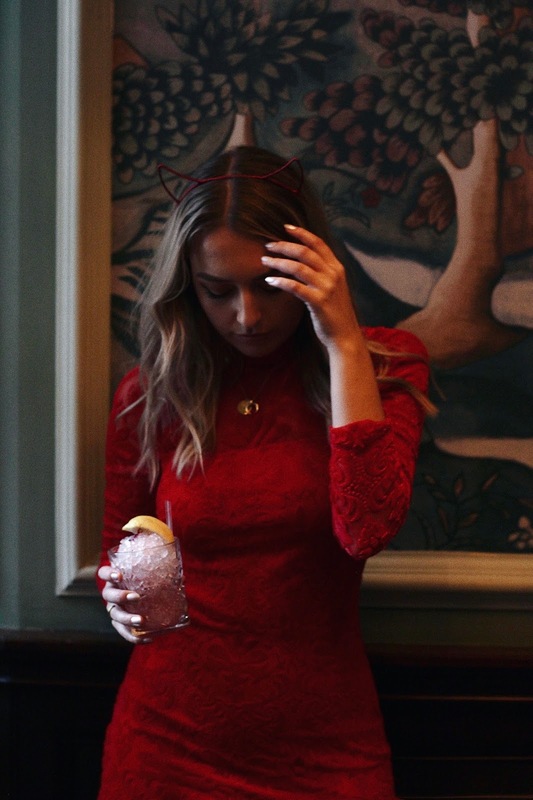 So for today's post, I'm super excited to be working with my faves at New Look to share with you my subtle takes on two of the classics, the Devil and the Cat. And, what's even more amazing is that you can get everything here all from one place just in time for the weekend! 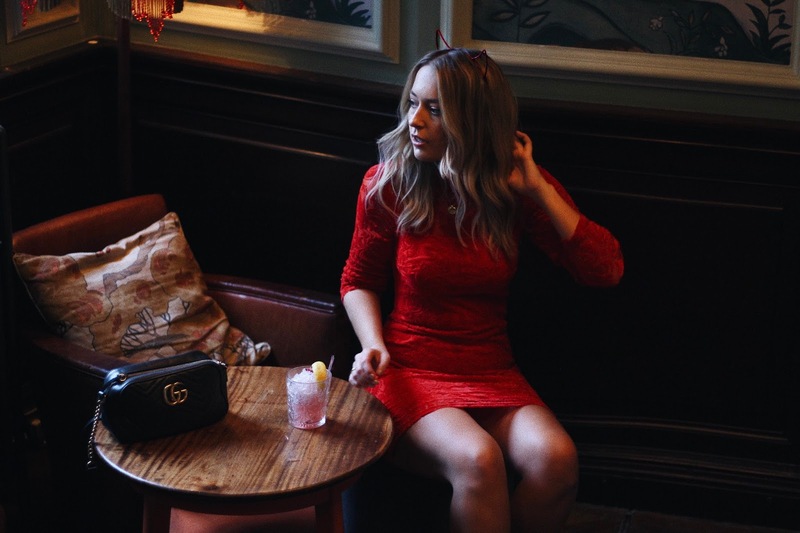 For my 'devil' look I went with this gorgeous flocked red bodycon dress that fits like an absolute dream. The long sleeves and velvety texture are super seasonal and it'll be a number you can wear time and time again even after Halloween. But for this look, I teamed it with these beautiful dainty ribbon horns to finish off the devil vibe! Vinyl trousers are definitely having a moment this season and I've been meaning to get my hands on a pair for ages, so what better excuse to pick them up to nail your Cat Woman outfit for Halloween! I was worried about the fit with my curves but I'm actually obsessed with how flattering they are, and teamed with this gorgeous lace body and matching ears they make for the perfect cat costume. In addition to these outfits, New Look have virtually everything else you need for Halloween. From cute decorations and party props to killer accessories and even the cutest slogan tees (obsessed with this 'Bootiful' one!). 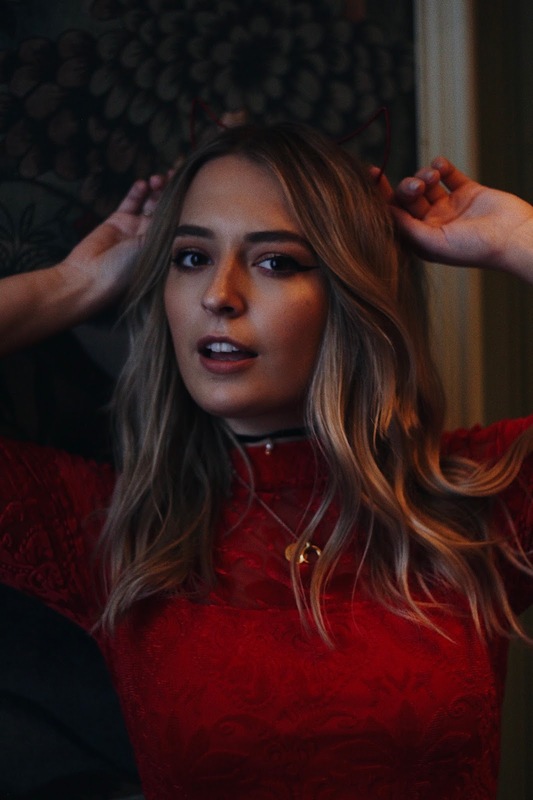 As always thanks for reading and I hope I've given you some inspo for some subtle classic looks this Halloween.